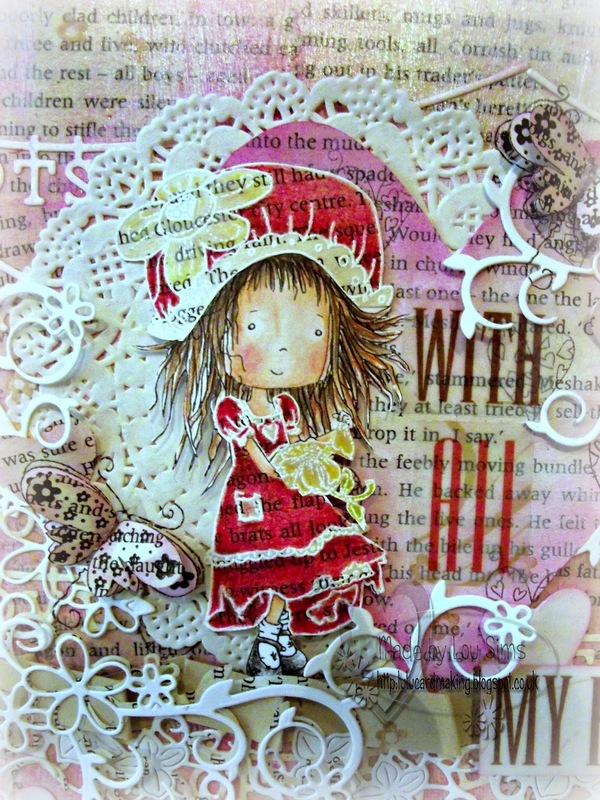 Whilst going through a memory card that I found, I discovered quite a few Tatty cards I had made and not shared. 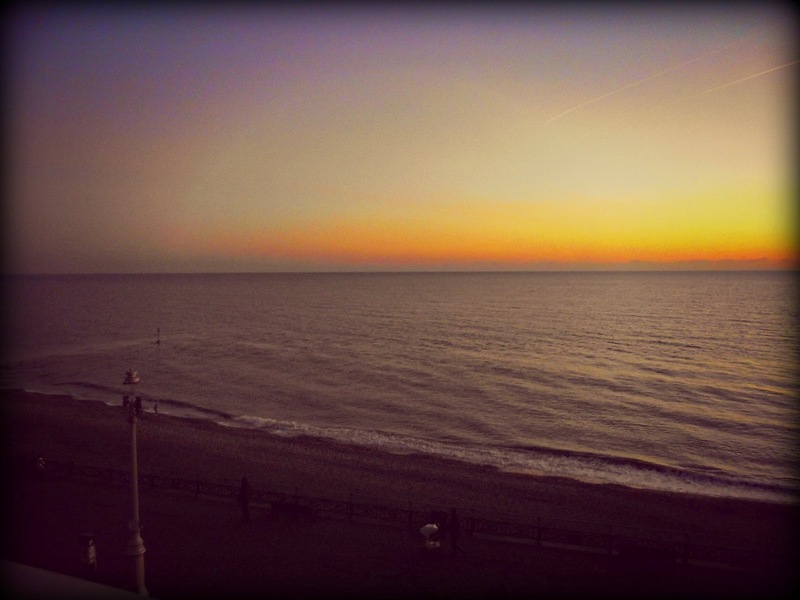 I also found lots of different photos I had taken when visiting Dad and Step Mum in Hove (actually). They are very lucky and live opposite the beach, so get to see lots of wonderful sunrises and sunsets ... they also witness horrific sunbathing incidents too, (say no more) ...! I tried very hard to place the die across my card so that I could then create another background (with the negative) and came up with another background (see photo below). I have mounted it on to gold card to make it "pop". If I am now 100% honest, this background is still waiting to be worked on ...! 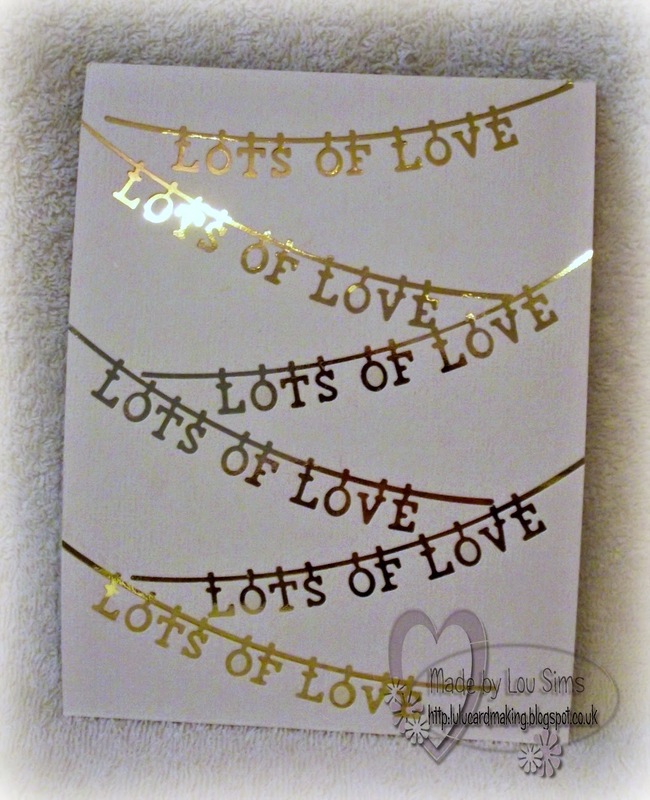 I then stamped Tatty Twinkle "He Loves Me" on to book pages too. I have embossed the image in both white and clear embossing powders. Tatty has been coloured with Prisma pencils. I have created a heart shape (using old book pages) and mounted Tatty on to this. 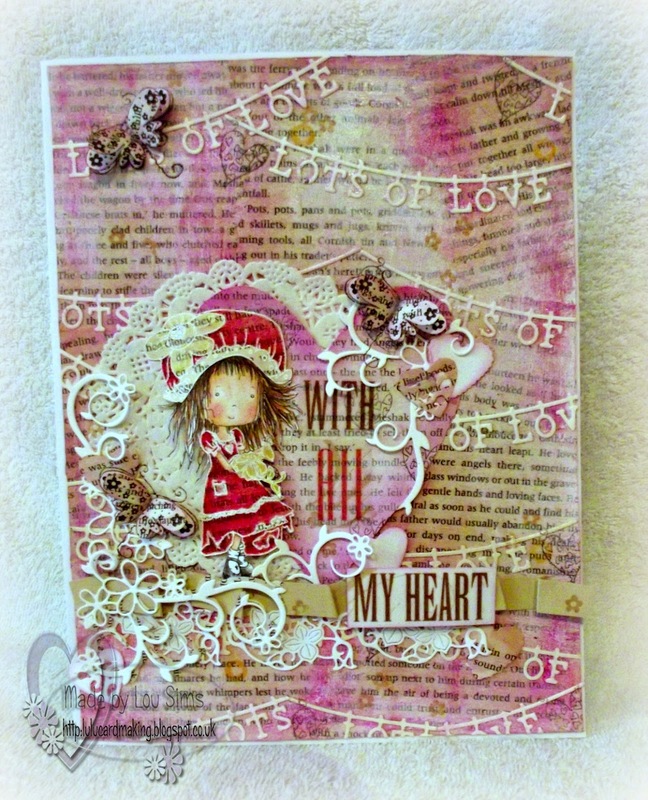 Then I created a pleated ribbon using Kraft card and layered lots of die cuts behind the heart. As a finishing touch, I have added stamped butterfly images, and yes, on to book pages. The sentiment is one I found in a hat box (which has been sitting on a dresser for eons) which was full of goodies. I do so need to go through all my boxes and drawers and really organise myself but that will be for another day as I think it could be a long task! Right am off shopping with youngest son and off for a spot of lunch too. Oh my this is gorgeous. Love the image she is beautiful. Just fabulous! And LOVE what you did with the "waste"
OMG this is stunning! WOW WOW WOW! Oh, this is awesome and I love that Lots of Love die!! This is just a lovely card. Thanks for sharing over at TTPH. What a super card...but our limit on challenges is 10....sorry. She is beautiful and I love your clever card construction detail. Beautiful creation-thanks for playing with us at Through the Purple Haze! Please return soon with just 10 challenge entries and then you could possibly win the challenge! Wow, this is gorgeous. 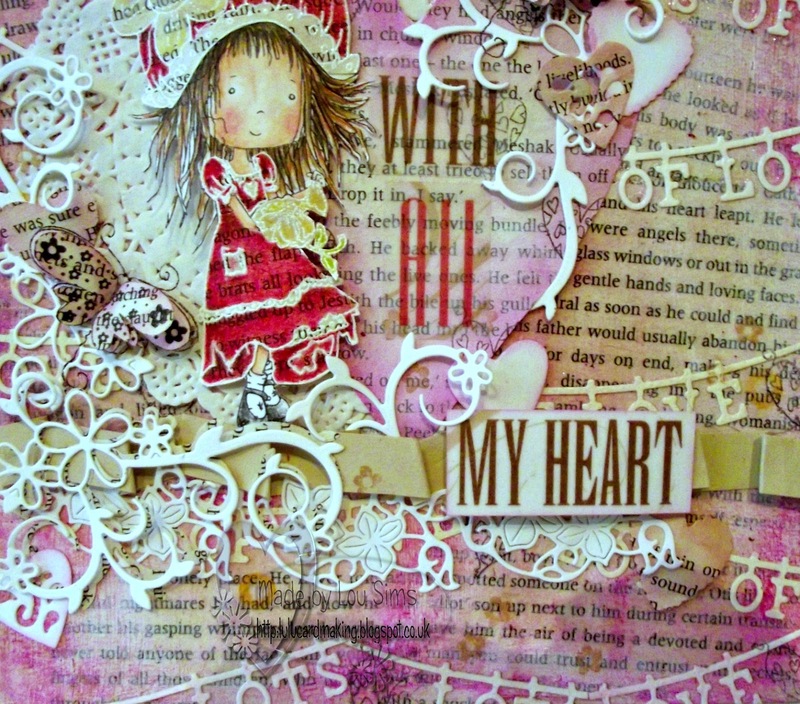 Love the die-cuts and the distressing and every little thing about it! 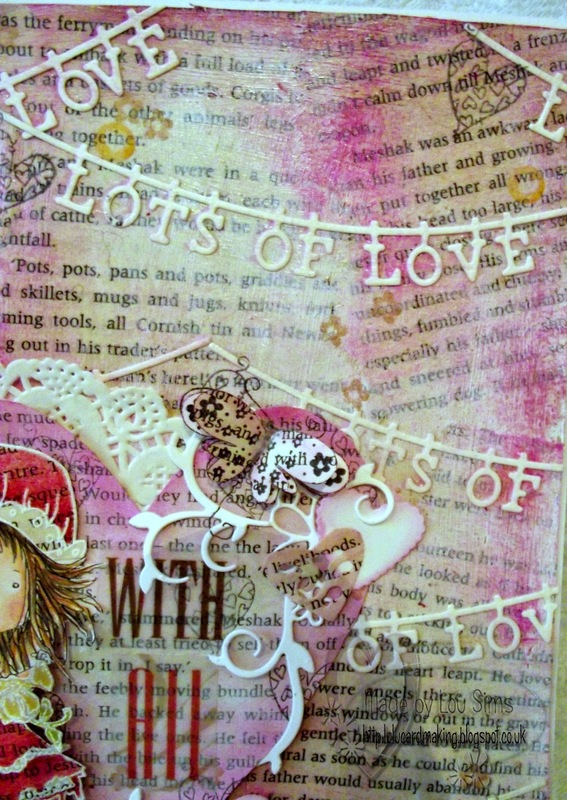 Thank you for joining us at Craft Your Passion challenges this week. Aww I love Tatty, and you've done her proud... So much work and such a gorgeous result..